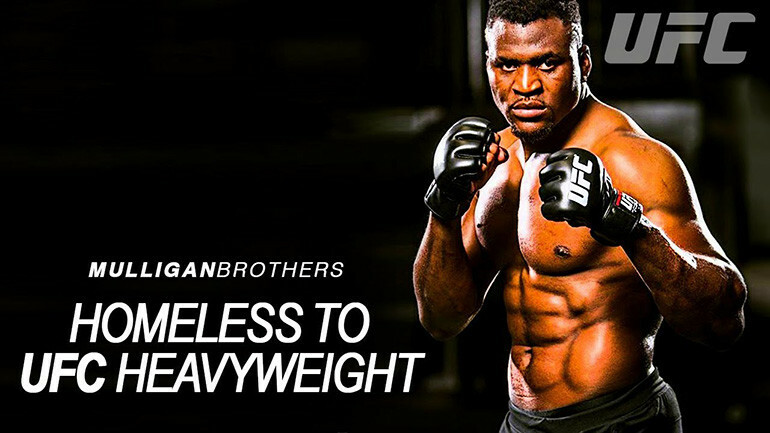 Top UFC heavyweight Francis NGannou arrived on the scene in December 2015. Stopping his first opponent inside the octagon Luis Henrique in the second round. It was the successful beginning to his UFC career which would see him defeat all of his five following opponents inside two rounds. Becoming quickly known for his athleticism, speed and punching power for such a big man. With momentum on his side, in January 2017, Ngannou moved up a level in opponents. As he took on the former champion Andrei Arlovski. In the process adding yet another devastating knockout stoppage to his record. When he faced Alistair Overeem in December 2017. He did so, knowing that a shot at the title and champion Stipe Miocic could soon follow. Stopping Overeem with many people’s KO of the year. The man from Cameroon staked his claim to a 2018 challenge for UFC gold. It’s a long way from the guy who was once homeless on the streets of Paris France. Having made his way from Africa to Europe to find his new life. There was a time when things didn’t look so good. And it wasn’t until walked in the doors of the MMA Factory gym in Paris. Hoping to build a career in boxing, when he found his new mentor Fernand Lopez. That the pieces of the puzzle would finally come together. He now faces Stipe Miocic at UFC 220 for the heavyweight championship. In a title fight which has the world buzzing with anticipation. Will he be able to do what he has done to the 11 other men he has beaten inside the cage? Or will Miocic be able to weather the African storm and bring his belt back to Cleveland Ohio? A massive both in terms of importance and kilogrammes. As Francis NGannou challenges Stipe Miocic to become officially, the baddest man on the planet.